Volume of raw material handling operations is increased remarkably in last few decades in wide range of industries. Dry bulk solids are transferred and delivered with different ways. 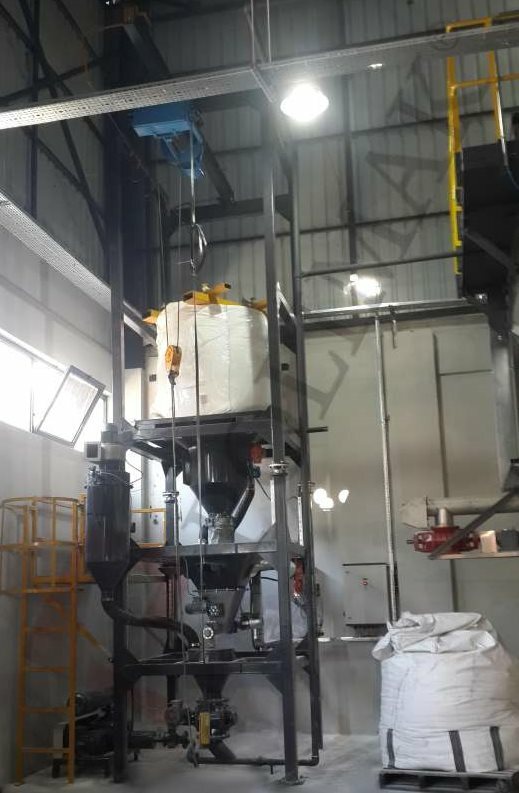 FIBC (Flexible Intermediate Bulk Container) also know as big bags are one of the the most preferred way of handling bulk materials in granular and powder form. 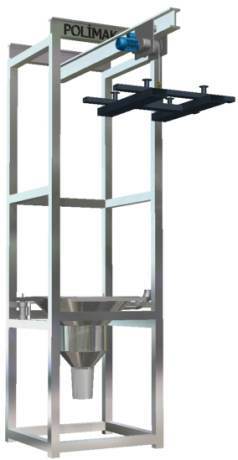 Well designed big bag handling systems are needed to be able to fully benefit from big bags. 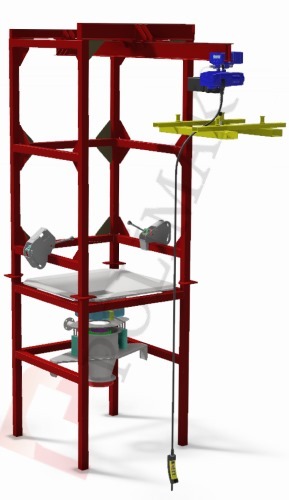 Big bag discharging stations are designed for unloading of bulk bags in effective and safe way. Different types of bulk materials can be handled, starting from free flowing granules to poorly flowing sticky fine powders. 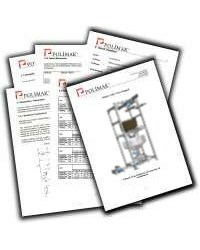 Bulk bag discharge systems are designed to meet wide range of application requirements. Type of bulk material, big bag size, discharged medium, down stream equipment, discharge speed, environmental aspects, ergonomics and safety are all important factors that have effect on final design on big bag discharger unit. 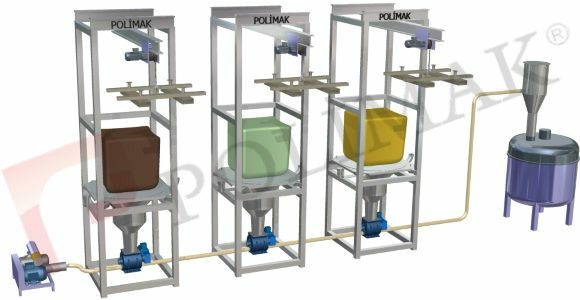 Modular design of big bag discharging systems make them easy to be configured for each application need. While standard models have simple frame and discharge hoppers, high level models have complete solution in single main frame. 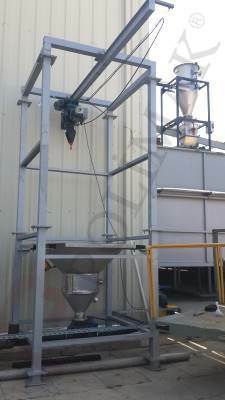 Big bag discharging, product storage, dust collection, dosing and conveying can all be done in single unit. 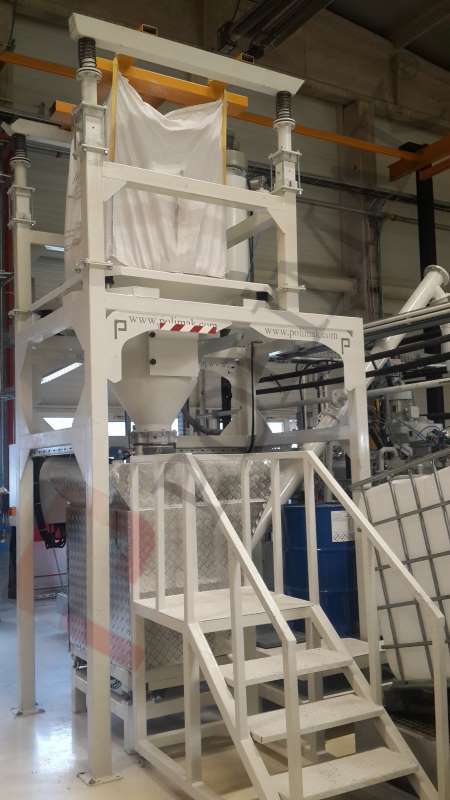 Big bag discharge stations are also known as big bag unloaders, bulk bag emptying systems, FIBC dischargers, FIBC unloaders, FIBC emptiers, super sack dischargers, container bag unloaders, container bag dischargers, super sack unloaders and super sack emptiers. 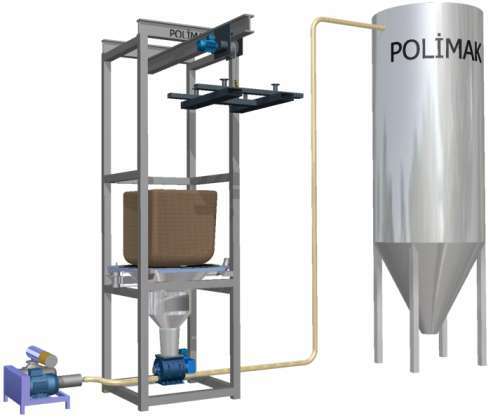 – Filter system for preventing dust. 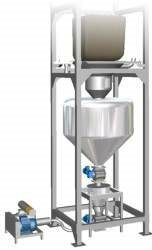 Bulk solid transfer equipment are used to transfer powdered and granular materials from big bag discharger outlet to required destination. Mechanical or pneumatic conveyors can be used according to application needs. 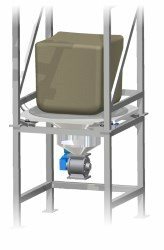 Big bag discharge systems can be provided with wide range of optional components and accessories for different application needs.